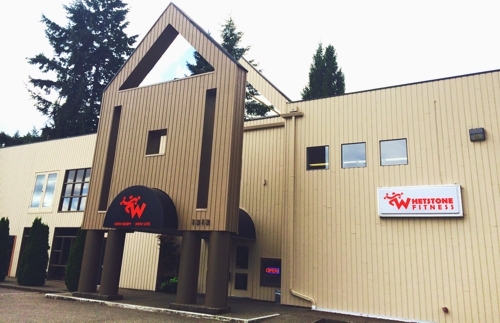 Join the Best Gym in Olympia! Whetstone Fitness is a locally owned and operated 24 Hour Member Access Gym and Personal Training center. Stop by our OLYMPIA, WA health club TODAY! Check out our reviews on Facebook, Yelp and Google! We have several memberships at Whetstone Fitness from Access Only to our signature Empowerment Membership. Our Empowerment Membership gives you all the amenities of the Access Only membership with the additional support of a personal trainer to instruct you on how to train yourself to reach your fitness goals plus much more. Our personal trainers will create a fitness program just for you. Let us help you put together a specific plan that will enable you to reach your fitness or weight loss goals as efficiently and effectively as possible. We offer over 20 FREE Group Fitness classes per week; including LesMills, SilverSneakers, Stability Ball, CorePower and RetroStep. We also offer TRX Suspension Training. Get Started Today! Our personal trainers will setup a nutrition plan to help you achieve your goals. With our exclusive nutrition software created for Whetstone Fitness we can build a personalized eating plan specifically for you and your lifestyle. Are you are getting ready for a competition such as a bodybuilding contest, marathon or MMA bout? OR are you planning to do something FUN like a Mud Run, the Senior Games or hike to the top of the Columbia building for charity, our Competition Prep program can get you ready to win! Whatever you fitness goals are, we are here to help you achieve them thru knowledge, support and guidance and of course, FUN! Or stop in during our staffed hours. Stay up-to-date with our latest personal training and membership specials, group fitness schedules and current events. Sign up for our mailing list!